Romain Grosjean put Lotus on top as the second morning of in-season testing at Mugello came to a close. In contrast to the torrential weather which blighted the opening day, conditions were dry almost from the outset, allowing teams the chance to catch up with their disrupted programmes. Many therefore opted to run with periscope gauges or various aero sensors rather than chase times. Such priorities would not diminish Grosjean's pace, however, as he pulled clear of the field after barely an hour in and never looked under threat thereafter. He ended the morning on a 1m21.603s. Mark Webber, in the Red Bull for this morning before handing over to reigning champion Sebastian Vettel for the final day and a half, ended the morning as Grosjean's nearest challenger. Bahrain Grand Prix is far behind, but it will certainly offer chatting for a longer time. Last night I got phone calls from Italy when Italian reporter colleagues wanted to update their information about Kimi Räikkönen and wanted a Finnish perspective about expectations for the upcoming races. On Tuesday I was in Helsinki when my old friend Erkki Vanhanen's book about track-racing was published in the sport museum. What do you know, the main talk was Bahrain GP. 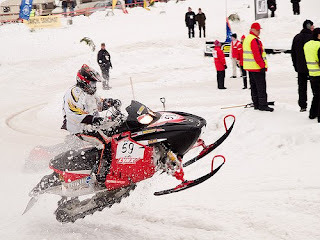 Commentator Tomi Tuominen told that the race nailed him down for the whole hour and a half. – I don't remember the last time when I followed the whole race from beginning to end without moving at all. It was a race where you couldn't miss anything, because the situation was on the whole time and it could had changed any way possible, Tuominen praised. Räikkönen on the podium for the first time in two years and seven months is the kind of a push that we have needed in Finland. The first blue-white F1-voice Matti Kyllönen was on fire over the F1-spring. What kind of energy has following F1-races offered you? – I don't even know which word would be the right word to describe the situation - other than AWESOME! It's just awesome that we once again find this kind of behavior from our success-hungry nation. F1 hasn't been nearly as interesting in two years and through success we jump to a completely new level, Kyllönen smiles. – Now it feels good again and I can breathe. I have the anticipation 'is this true?' all the time. It's too good to be true. – I even had an itch during the race that is it right if Kimi wins already now. Will it go too much the easiest way? 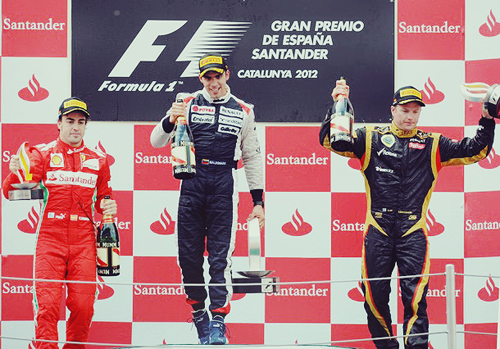 It is really interesting when the season has only started and he has already been on the podium. I'm sure he will be there in the future also. Now we just have to wait in which GP the first victory happens. How does it feel when tyres decide so much? – It is somehow extremely problematic, artificial. Just like Michael Schumacher said last weekend. Somehow it was easy to agree with him. – Maybe it has gone a bit too far but of course it's extremely great for spectators to follow - just like the race in China. In one moment completely shocking things happened position-wise. It's a carefully considered formula we work with now and we just have to live with it. Then who wins in Barcelona? – One of the McLarens. It has to be one of them, Kyllönen thinks. MTV3's commentator Mika Salo is recovering from the disease he got in China and he also sees the shady side of the street in these GP-thrillers. Four races and four different winners from four different teams. Can this continue? – It looks like it would continue. It goes so criss-cross that you can't say which ones are certainly in the top five. That's why all speculation should be completely forgotten. – I wouldn't enjoy it at all if I were a driver in some team and wouldn't know if I'm first or 10th. Either you leave happy or *** No swearing *** disappointed, there is not that evenness anymore where one good car is always in the lead. Now the power relations swing from here to there, Salo said. What about the tyre-department? Good or bad? – On one hand it's good since it's really cool for the viewer. The teams only have to learn how to use them. At some point they will change again. Pirelli isn't the end of the world. At some point a new tyre-supplier comes along and everything starts from scratch again and they have to learn to use them. You just have to get used to them. How difficult is it for a commentator to see which tyres someone is driving with? – It's insanely difficult. They don't tell it to anyone, because what they are doing is a big secret at that moment. And FIA doesn't give that table where it says which tyres whomever has used. – I was in the race steward -tower to get acquainted with my steward-business in Valencia, they have a list of drivers and beside each driver they have all the tyres they have and how many laps they have drove with each set. They know exactly if someone has for example drove 4 laps with some tyre etc. – We should have someone there to comment on the same data. It would be like now we're talkin ', sports fans! But for some reason they don't give them out for that kind of distribution, Salo said. – You tell. It's the same thing. Barcelona is again completely different from any other race the whole year, because teams have already tested there in winter with these cars. It's easy to bring updates there, because based upon the tests you see immediately if the new parts work or not. They have so good data. – In other words those who were fast in Barcelona's winter tests, they are also fast in May. Go figure. Kimi was fastest then and he will also be fast during the GP-weekend. 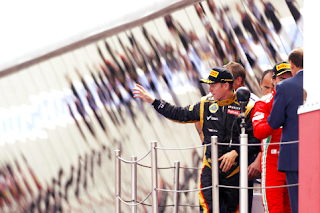 How it goes for Kimi, that again depends upon how the other teams have gone forward. – Barcelona has always been the most boring race in the season, because cars have due to testing already been put in positions. Lets hope that it changes at least a bit, Salo says. Sir Jackie Stewart has praised Kimi Raikkonen for an 'amazing' performance in the Bahrain Grand Prix, arguing that second place for the Lotus driver at the Sakhir circuit showed he can still do a job in F1. Raikkonen's decision to return to the sport after two years away led some to question whether he still had what it takes to challenge at the front of the F1 field. However, a stunning performance in Bahrain saw Raikkonen storm through the field from eleventh on the grid to finish second, as Lotus finally lived up to the potential shown during pre-season testing. "There were many surprises in this race. The poor performance of McLaren on track and in the pits, for example. But the biggest was the way the Lotus cars of Kimi Raikkonen and Romain Grosjean took on the Red Bulls. They managed to beat Mark Webber fairly easily, but Raikkonen couldn’t quite do enough to beat Vettel to the win. Lotus has had a good car at every race this season, but hasn’t quite got the strategy right before. In China, for example, they tried to do a two stop race with Raikkonen, but timed the stops wrong and on worn tyres he was vulnerable to the three stoppers at the end of the race, falling from 2nd place to 14th. In Bahrain they got it almost perfect. The strategy planning began in qualifying, where the Finn did only one lap in the Q2 session, intending save a new set of soft tyres. Here Lotus made a small mistake, which turned out to be a benefit as they sent him out too early and underestimated the track improvement at the end of the Q2 session." "Raikkonen was disappointed after the race. He had a chance to win, just as Perez had a chance to win in Malaysia. The strategy was good enough to give him a chance, but not perfect. 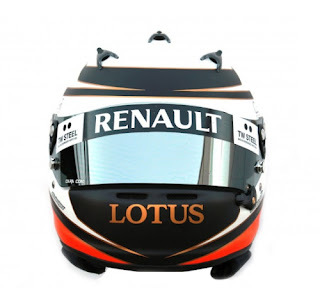 Perhaps with a little more ruthlessness by Lotus, moving Grosjean aside, it could have been perfect." Kimi Raikkonen's performance in the Bahrain Grand Prix is exactly what Lotus was expecting of the Finn this year, according to team owner Gerard Lopez. Although some questioned the wisdom of the Enstone-based team luring Raikkonen back to F1 after two years away from the sport, Lopez insists that he never had doubts the former world champion would deliver. "The guy's a world champion: he's not old, he's fit and he's motivated. "I've seen him before at teams and I've never seen him this way before in terms of his work patterns and his behaviour. So I honestly think he is where he has to be, where he thought he would be and where he expects to be. "He has always been a natural, and you don't lose that. If you've got the speed you've got the speed." Kimi Raikkonen and Sebastian Vettel are close friends. They spend as much time together as they can. - "I like the fact that he's really honest", Vettel says. - "He's always been like that. Very outspoken. I have met a lot of people. Some are nice and some aren't. But honesty is a good quality. At least for me it's important. And Kimi is very honest. And he's a good guy." 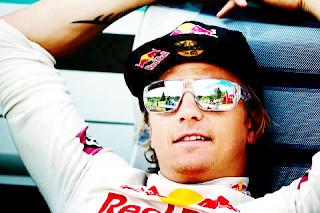 - "I try to spend as much time as I can with Kimi. Last year we played badminton. We're both very busy so we could only play once. I lost." At the Chinese GP the two entertained each other and the surrounding media by assembling puzzles and playing board soccer. We're going to go slightly offbeat for this feature this week, as Kimi Raikkonen only tested a British F3 Championship racer because his management, and the team that ran him for the day, wanted him not to contest the following year's series. Carlin Motorsport chief Trevor Carlin and engineer 'Boyo' Hieatt had been big pals with the Finn's managers David and Steve Robertson since running Robertson Jr in F3 in the 1980s and early '90s. Back in September 2000, the team's Takuma Sato was making waves in British F3 and had already committed to Carlin for '01. Meanwhile, Raikkonen had cleaned up in Formula Renault UK and an agreement was in place for him to graduate with Manor Motorsport to F3. When an opportunity for Raikkonen to test for the Sauber F1 team arose, the Robertsons, Carlin and Hieatt viewed this as the perfect chance to avoid a potentially damaging rivalry in 2001. "Steve didn't want to put Kimi up against Taku," says Hieatt. "He'd dominated Renault and they didn't want a stalling year in F3. 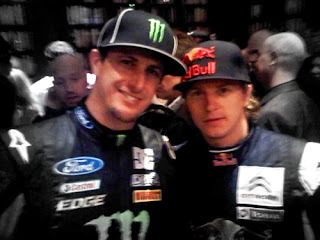 And me and Trevor were happy to help, because we didn't want Kimi competing against Taku. "Our F3 Dallaras used the same Magneti Marelli logging as the Sauber, so it was a good chance to get Kimi familiar with the dash and get a taste of more downforce. We went to Pembrey. It was our first test with new engine maps for Honda and Taku had driven it the day before. It understeered a bit but we thought we could live with it. "On the second day, Taku drove the other car, doing tyre development for Kumho, who were thinking of coming into F3. When Kimi went out Taku totally overdrove, kept going off and Trevor had to have a chat with him. 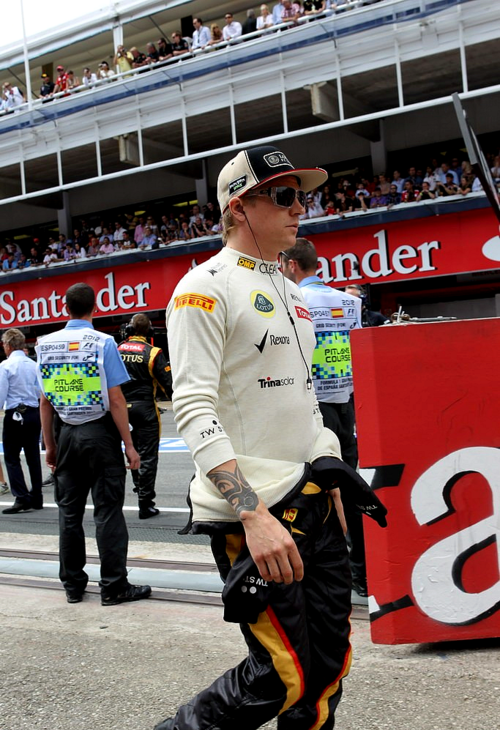 "It took Kimi four laps to get on the pace. Typical of him – he didn't say much and off he went for his F1 test. I don't think he liked the F3 car much – it had an H-pattern gearbox and it had too much understeer. But he was matching Taku's pace. 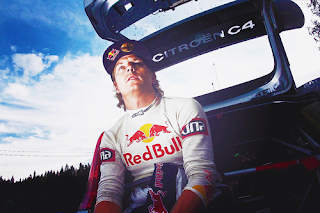 It was a bit damp though, so it wasn't the neck-breaking day we'd hoped for." Four years later, Raikkonen and the Robertsons put up the capital for Hieatt to start his own team. 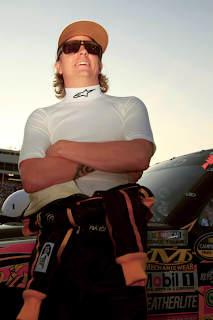 Although Hieatt is now the outright owner of Double R Racing, he remains friends with them. "To this day I don't believe there's a more naturally talented driver than Kimi who ever lived," he says. 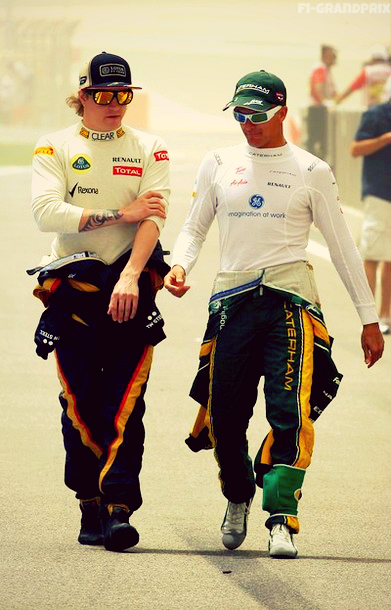 "Schumi didn´t have that much luck"
Mr. Raikkonen Lotus is a quick car. Is it fast enough to fight for wins against Vettel? I do not know. The car is good but I don´t know if it's good enough for victories. At least we are not far away from the top! You and Vettel once have been good friends. How do you estimate his rise to a double world champion? We´ve been living close to each other in Switzerland until he moved away and we didn´t see each other that often anymore. But we already talked to each other again since my return. It has been like it used to be. He didn´t change at all. In the past you often played Badminton. You used to win most of the times. I still do. If I lose it´s only on the track. Sebastian became a great race driver but he is still a nice guy. Does it make a difference to drive against him compared to other drivers? No. There is no difference whether you drive against a friend or not. I want to win against all the drivers. You are also known as the Iceman because you are always that cool. Do you ever think about your public image? I don´t care about my image. It doesn´t change my life. For me it´s important that I´m happy with the things I´m doing. I´m not here to play a role I´m not happy with. There is no reason to freak out under normal cirumstances. I can´t understand why sometimes people get so emotional even though nothing has happened. Earlier this year you took part in a snowmobile race and broke your wrist. You also kept your cool. Sometimes you get injured sometimes not. Of course my boss was not amused. But I wouldn´t drive in F1 without those liberties. 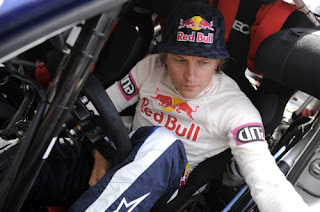 You didn´t suceed in WRC. What was the reason? I wasn´t used to listen to somebody else. But the trust in the pace notes and your co-drive is the thing which makes the difference in rallies. If one would drive a stage a few times there wouldn´t be much time difference between the drivers. In the second year I had less difficulties as I knew most of the stages. Watching you driving one does get the feeling that nothing has changed since your retirement. It indeed hasn´t changed. We got older but the cars are still the same. And the tires are not so different this year compared to 2009. Can you explain why it took Michael Schumacher longer to feel well inside of the car? It only depends whether you have a good or a bad car. It´s much easier when you have a fast car as I do have. In this light he didn´t have much luck. Actually I don´t want to compare us. He does his stuff and I do my. That´s it. Do you to remember what you told to a TV reporter before Michael's last race in 2006? You went to the toilet. I was just being honest. The reporter asked a stupid question so he got a stupid answer. World Champions Sebastian Vettel and Kimi Raikkonen are friends who are known to enjoy each others' company. On Wednesday in Kuala Lumpur the F1 stars had their first badminton game in two years and Raikkonen once again kept his clean streak of wins over Vettel unbroken. Vettel's new personal trainer though managed to beat Kimi 3-2 but the ex-hockey player apparently has a real badminton background as well. On Saturday Vettel suffered an even more bitter defeat in qualifying when Raikkonen with his Lotus managed to beat his Red Bull by 0,173 seconds. 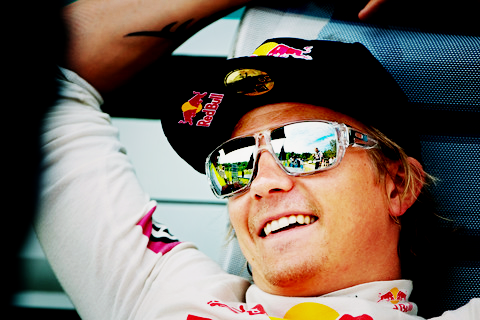 Q: Kimi, is racing again in Formula One as much fun as you had hoped? 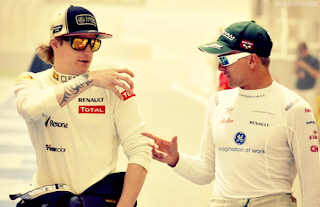 Kimi Raikkonen: It is all the same as before. It hasn’t changed. But the car is good and that always makes it a bit nicer. If you are in 15th place, then that of course is never nice. Okay, in terms of the paddock, I really didn’t expect it to be any different from when I left, but the team is nice so I feel very comfortable. Q: So things haven’t really changed. You initially left for a reason so can you stomach those reasons now? KR: I like the racing. And if you do so then it is inevitable you must accept the rest. Sometimes you discover that on your second try. Race fans across the region are looking forward to the return of the very popular and enigmatic Kimi Raikkonen to the grid of the Formula One Gulf Air Bahrain Grand Prix, happening at Bahrain International Circuit (BIC) in Sakhir next month. Raikkonen’s comeback with Lotus-Renault after a two-year hiatus from the top flight has been considered to be one of the most exciting storylines heading into the 2012 FIA Formula One World Championship. Raikkonen did not disappoint his backers with a fine showing down under, displaying flashes of his former brilliance en route to finishing a solid seventh out of 22 competitors. What has brought Kimi Raikkonen back to Formula 1? He says that after a couple of years in rallying he realized he missed the thrill of wheel-to-wheel racing. But it's unlikely to be as simple as that. After all, here's a guy who turned his back on the sport at the end of 2009 having failed to close a McLaren deal for '10 that would have allowed him to continue to win races. At Lotus, it's been a case of “so far, so good,” as Raikkonen was immediately quick when strapped into a 2010-specification Renault at Valencia in January and in the new Lotus E20 in Barcelona in February, then overcame a difficult qualifying session to score points on his return to the sport in Australia last weekend. Just as important, he impressed the team with his method. 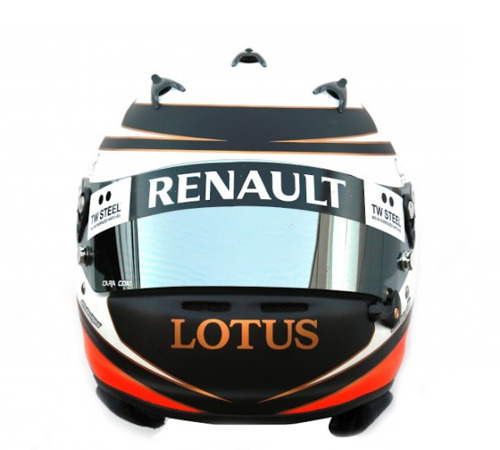 But then Lotus has taken a pragmatic approach to its new No. 1 driver. With only 12 days of preseason testing to divide up between Kimi and his teammate, fellow-F1 returnee Romain Grosjean, plus three days at Mugello in May, there is little test work to be done. 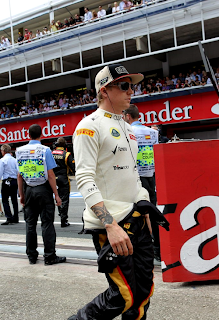 Lotus recognizes – as McLaren did and Ferrari didn't – that to get the best out of Raikkonen, you need to give him space. Outside of grand prix weekends and tests, his time will largely be his own. Comebacks rarely work in F1, but Raikkonen is young enough and good enough to make a success of this. Few doubt that he still has wins in him and a second championship is far from impossible. We have a baseline steering set-up which Kimi is able to live with. It is not ideal for him, and it is our duty to ensure that we give him a system that meets his demands perfectly. We brought a new option to Melbourne for him to try but the wet weather meant that we were not able to judge whether it was a step forwards. We reverted to the "old faithful" out of an abundance of caution. We will keep persisting untilwe produce a set-up which is exactly to his requirements. Each driver is different in what he wants from his steering setup. All of the drivers have a hydraulically assisted powered steering unit in the steering rack as the loads on the wheel would be intolerable otherwise. The engineers adjust the level of assistance that this unit provides to suit the individual requirements of the driver. Kimi likes to drive with quite a light steering wheel, but one which also has great precision. Our baseline rack is precise, but it is not light enough for Kimi’s driving style. Our challenge is to produce a hydraulic rack that is more powerful than the current unit, but which sacrifices none of its precision. We have not got there yet, but we will do. 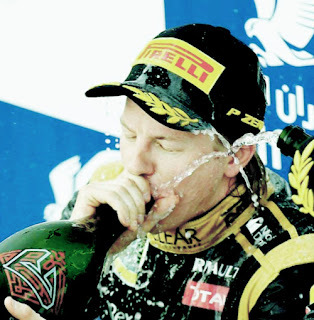 What I'm really looking forward to seeing this weekend is Kimi Raikkonen starting in the top six and giving us something memorable moments on the track where he picked up maiden win in the sport nine years ago. He should be a little less rusty after a mixed opening race. There were issues in practice and qualifying but come race day, Kimi was a different man. He may not know what the Blue flags are about, a sign maybe of a lack of preparation, but he sure knows how to take his chances when they come. Kimi is fully aware that he shouldn't have been knocked out in Q1. He has the car to be near the front, as his team-mate showed with a terrific third on the grid. This weekend the former world champion has the tools at his disposal to show us all why our eyes lit up when his return to the sport was announced. In the heat of Malaysia how about a podium for The Iceman? And maybe some Raikkonen branded ice cream to celebrate with. - "It was a fantastic race performance from Kimi. You could see that he still lacked some routine in qualifying but that is normal since it has changed so much in during the last two years." - "Kimi is a phenomenal talent and without a doubt one the greatest drivers I have ever seen. Kimi and his team looked very competitive this weekend. My uncomplimentary prediction is that Kimi with his team is going to be the biggest surprise of the season." Kimi Raikkonen has set his sights on fighting for a podium finish in this weekend's Malaysian Grand Prix. The 2007 world champion rallied back from a difficult qualifying session to score points on his return to the sport in Australia last weekend. That performance has given him confidence that the Lotus E20 is capable of fighting at the front in Sepang - where he scored his maiden win for McLaren nine years ago. There are, it turns out, two Kimi Raikkonens. The public face of the 2007 world champion, who has returned to Formula 1 this season after two years in rallying, is of a monosyllabic, monotone, unsmiling figure, energised only the moment he steps into a racing car. The one who emerges in private is very different - a talkative, jocular man, who can happily sit and shoot the breeze like anyone else. There is a widespread belief that Raikkonen is as unforthcoming in his technical debriefs as he is in public, but that, too, appears to be a fallacy. Lotus have found his comments in debriefs to be not only lengthy but very perceptive, too. He was slightly quicker than new team-mate Romain Grosjean throughout pre-season testing, so it was a surprise that he was about 0.2secs slower than the Franco-Swiss semi-novice in the practice sessions in Melbourne. Equally, the errors Raikkonen made on his qualifying laps that left him down in 18th on the grid betrayed a certain ring-rustiness, as well as perhaps the pressure he was feeling from Grosjean's pace. In the race, though, something of the old Raikkonen returned as he fought back up from his low starting position to take seventh place by the end. Clearly, though, there is more to come. Raikkonen is not entirely happy with the feel he is getting from the Lotus's steering, but Permane plays down the significance of the problem. "He's very particular," Permane says. "He knows what he wants and it's not quite to his liking. It's not a million miles away, but we'll get it there." Raikkonen can drive perfectly well with the steering as it is, but the problem probably does mean that he is driving a little below his maximum. Kimi Räikkönen discusses his Formula 1 comeback with Lotus F1 Team. With only hours to go until the season opener begins with Free Practice 1 & 2 at the Albert Park circuit, Kimi talks us through his first impressions of the E20 and the key technical changes in the sport since he last raced in 2009. This exclusive interview, filmed earlier today at one of Melbourne’s premier hotels, represents another milestone in of one of the most eagerly awaited comebacks in Formula 1 history. Kimi Raikkonen's managers have revealed they only now take a back seat in the career of the 2007 world champion. Britons David and Steve Robertson have guided the famous Finn throughout his motor racing career. 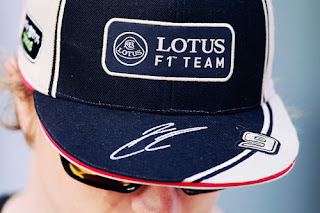 But Steve told Finland's Turun Sanomat that they only intervene now when the 32-year-old driver requests it -- such as when he needed to negotiate last winter with Williams and his ultimate 2012 employer, Lotus. "We came to the end of the road really in late 2009," he said. That is when Ferrari bought out the rest of Raikkonen's contract, and he headed to world rally. "We can't honestly say that we are real rally fans -- it's alien to us, while we know F1 through and through. "When Kimi wanted to go back to F1, he turned to us for help with the agreement. 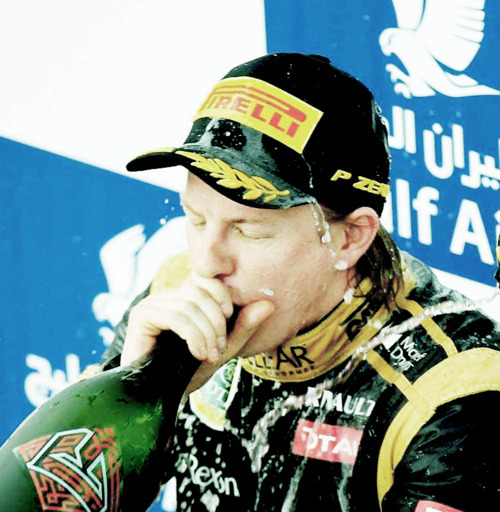 After a few months Kimi got what he wanted." Robertson, however, explained that the father-son duo are no longer involved in the "day to day" running of Raikkonen's career. 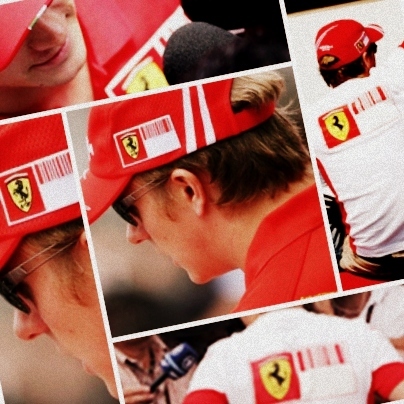 "I have known Kimi for 11, 12 years, and he has become really close to us. When he asks for help, he knows that we are always ready to give it," he continued. "I was delighted when he wanted to come back where he really belongs (in F1)," said Robertson. 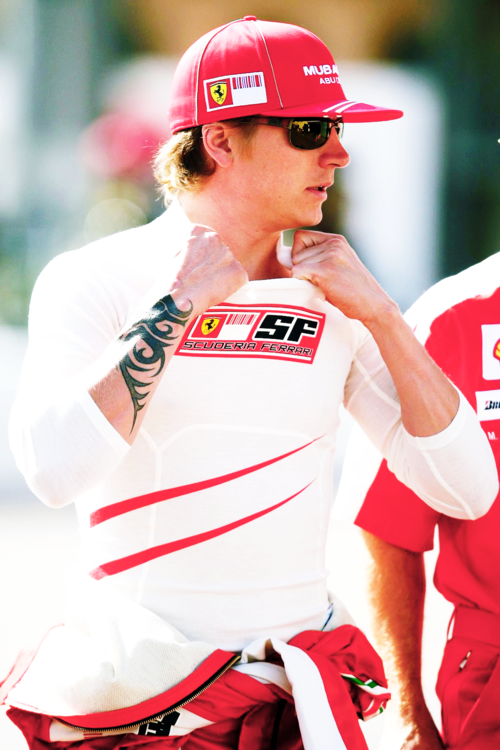 "There is so much nonsense about Kimi's problems with motivation. "The truth is that he wanted to come back for one reason only -- because he is super-motivated to race in F1 again. 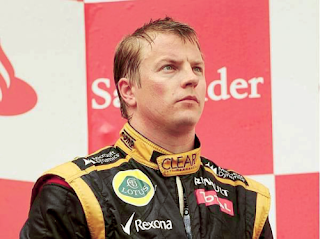 "By taking Kimi, it shows the (Lotus) team's desire to succeed. I think Kimi and Romain Grosjean are a good combination. "By changing the drivers the team has showed that it was not satisfied with the level of last year and that they want to come back to being among the big teams," he concluded. The Finn — or the Iceman as he is commonly referred to within motorsport — has been one of Formula One’s most interesting, and misunderstood, characters ever since Sauber took a chance on a callow 21 year-old with just 23 single-seater races behind him. Monosyllabic in public to the point of being comical, but a maverick away from the microphone; an adrenaline junkie who will race anything from powerboats (famously dressed in a gorilla suit) to snowmobiles; a free spirit with a fondness for spirits. Despite his lack of interest in self-promotion — or, more likely because of it — Raikkonen has built up a cult following over the past decade. 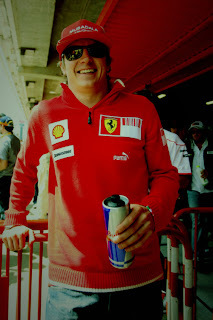 He rolls his eyes when quizzed on the famous ‘ice cream for the Iceman’ episode from his final season at Ferrari in 2009. As rumours of a return to Formula One for Kimi Raikkonen began to gather pace, Ferrari president Luca di Montezemolo was asked for his thoughts. "That he might be coming back makes me feel good", said Di Montezemolo. "There are some drivers, like him, with the flames of speed burning inside them." Kimi Raikkonen's return to Formula 1 means there will be six world champions on this year's grid, creating an extraordinary depth of talent arguably unrivalled in any other sport. But when the Finn left Formula 1 in 2009, having won the world title in 2007 with Ferrari, he seemed tired of many aspects of the sport. Will his absence have boosted his motivation? Can he recapture his former glories? What can he expect to achieve? BBC F1 co-commentator David Coulthard analyses the 32-year-old's return. Rosberg is glad about Kimi's strong return to F1 tracks. "It is a brilliant thing to F1. Kimi is one of the best drivers from the last ten years and undoubtedly one of the greatest drivers ever to drive an F1 car. It is great to get him back to the races. It further raises the bar of our sport." Kimi Raikkonen is ready to impress on his Formula 1 return, and will not be at a disadvantage because of his disrupted pre-season testing programme. That is the view of his team boss Eric Boullier, who thinks Raikkonen did enough over the winter to get fully prepared despite losing running at both the second test and on one day in Barcelona last week. "I think he has shown us already what he can do," Boullier told Autosport, referring to the fastest time the former world champion set at the last Barcelona test." 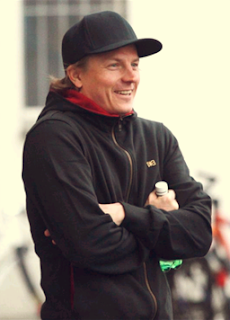 – "It's just awesome that Kimi has come back", Lauda told Austrian TV channel ORF's Sport am Sonntag program. – "Kimi's natural speed has always been superb, and even if he has newer spoken a lot in interviews, he is a very talented man. 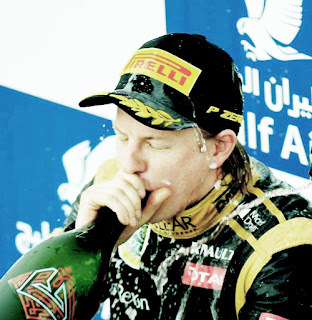 I also believe that Lotus is not so bad car", the triple world champion continued. Lauda still goes to all the F1 races in his role as a TV commentator. 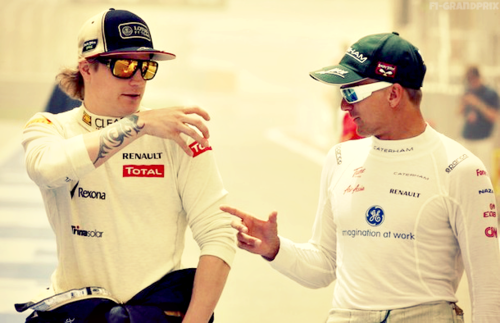 – "Observing Kimi will be fun. It is however important that he at the front every now and then, because then he interests us even more. If the car doesn't help Kimi at all and he drives in the mid field, he will be forgotten after three races. That's how cruel it is in Formula One." – "But Kimi will certainly be refreshing for this season, because as the sixth world champion he wants to know how good he still is", Lauda said. 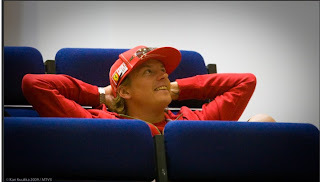 Ferrari's press officer Luca Colajanni surprised the Finnish journalists by declaring that he's convinced that Raikkonen can win in Australia – in the same style as he did with Ferrari in 2007. Colajanni said he believes to Kimi's chances as much as he believes that Ferrari cannot win the opening race. Kimi Raikkonen put Lotus at the head of the order on the final morning of Formula 1 pre-season testing at Barcelona on Sunday. The Finn, who had worked through a programme of five-lap simulations on soft and medium rubber during the early hours, completed a number of single-lap runs in the final hour and set the pace in 1m22.030s - the best time achieved at Barcelona during pre-season running. Raikkonen, who finished the morning with 41 laps to his name, was 0.220s faster than home hero Fernando Alonso, who completed 63. "According to Sky Sports pitlane reporter Ted Kravitz, the engineers found differences between Raikkonen’s and Grosjean’s telemetry, indicating that something was indeed wrong with the steering. “The engineers checked the telemetry data and saw that there was indeed something not quite in keeping with Romain Grosjean’s steering data from the previous two days. So they checked the system over, bled the hydraulics, checked for air bubbles etc and then sent him out again,” said Kravitz. However, Raikkonen was still wasn’t happy with the steering when the team sent him out again so the mechanics set to changing the steering rack for Raikkonen, fitting the one he used at the first test in Jerez. Raikkonen had already reported that he was not happy about the steering in Jerez last month and the team had already brought a new steering system to Barcelona. “Lotus mechanics are replacing the entire steering rack; that’s quite big job and time is ticking away, which is unfortunate as Lotus couldn’t wait to hear what Kimi had to say about their car around Barcelona, given Romain Grosjean’s time-topping performances over the first two days,” Kravitz reported. Raikkonen ended the morning session 10th, +3.526 seconds off the pace. According to Finnish newspaper Turun Sanomat, Raikkonen prefers to have a light steering which allows him to correct the rear when it slides." "Kimi was much more comfortable with the steering on the last run. All sorted now, plenty of work to do this afternoon." Kimi Raikkonen arrived to the Barcelona track in the afternoon and had a long meeting with his Race Engineer Mark Slade, who started in the team at the beginning of March, about the program of his two day test. Kimi Raikkonen will become the latest Formula 1 driver to appear on BBC TV show Top Gear when he takes part in the 'star in a reasonably-priced car' challenge next weekend. The Lotus driver will attempt to lap the Top Gear test track faster than Sebastian Vettel, Lewis Hamilton, Jenson Button, Damon Hill, Mark Webber, Rubens Barrichello and Nigel Mansell, each of whom have previously taken part in the challenge.